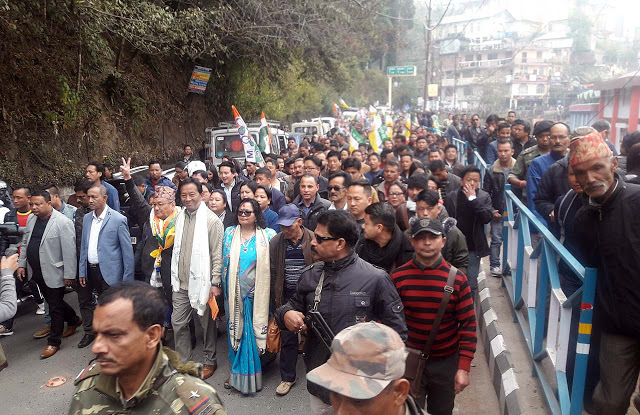 Darjeeling constituency comprising the picturesque hills that have witnessed a separate statehood movement for the last four decades and large tracts of plains, will see a political battle spanning out over the promises of peace, stability and development on one side and the restoration of Gorkha pride and sentiment on the other in the 2019 Lok Sabha elections. 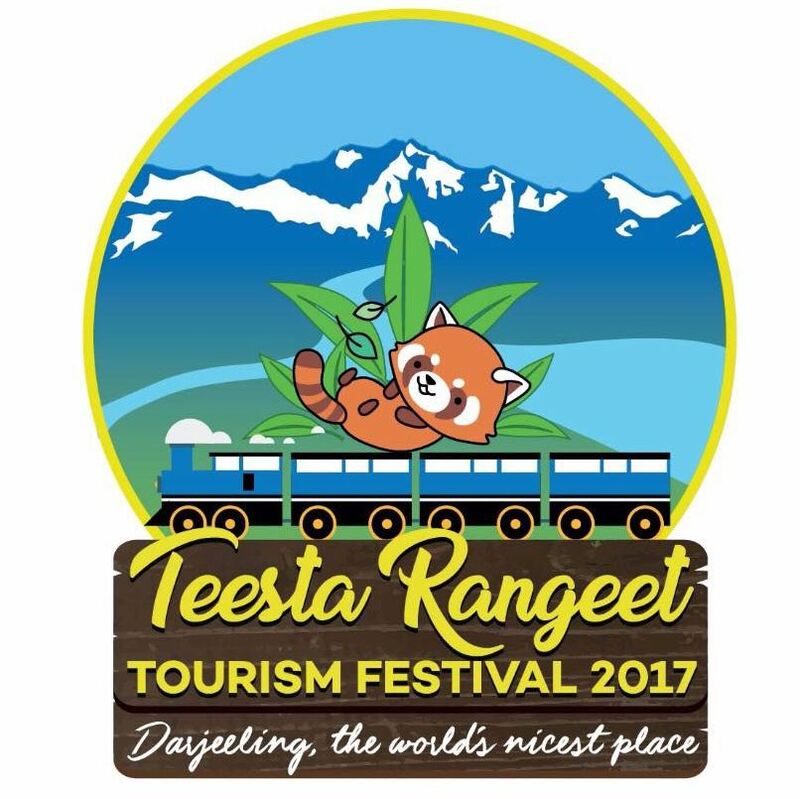 The famous tourist destination, which shimmered with violence, agitations and a 105-day-long shutdown in 2017 over the demand for a separate Gorkhaland state to be curved out of the north Bengal hills, Terai and Dooars will go to the hustings on April 18. All four prominent parties of the state – Trinamool Congress, BJP, Left Front spearhead CPI-M and Congress have fielded candidates. 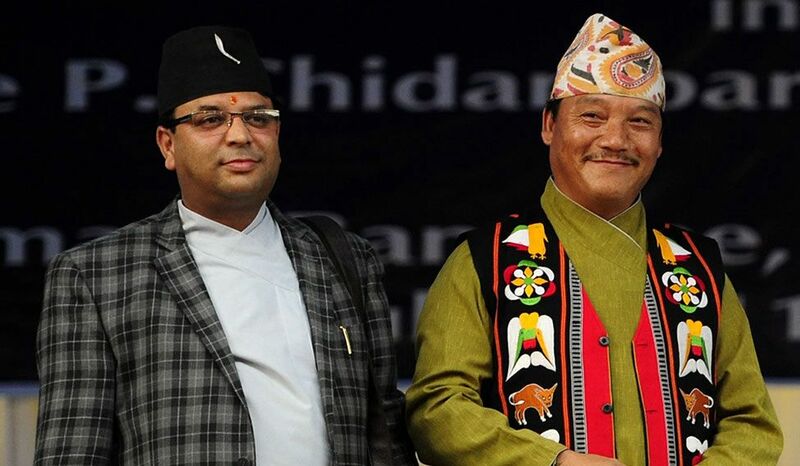 While former GJM supremo Bimal Gurung’s faction is backing the BJP and has formed an alliance with another major hill outfit, Gorkha National Liberation Front (GNLF), the faction headed by Gurung’s former general and current GJM chief Binay Tamang, has allied with the Trinamool. 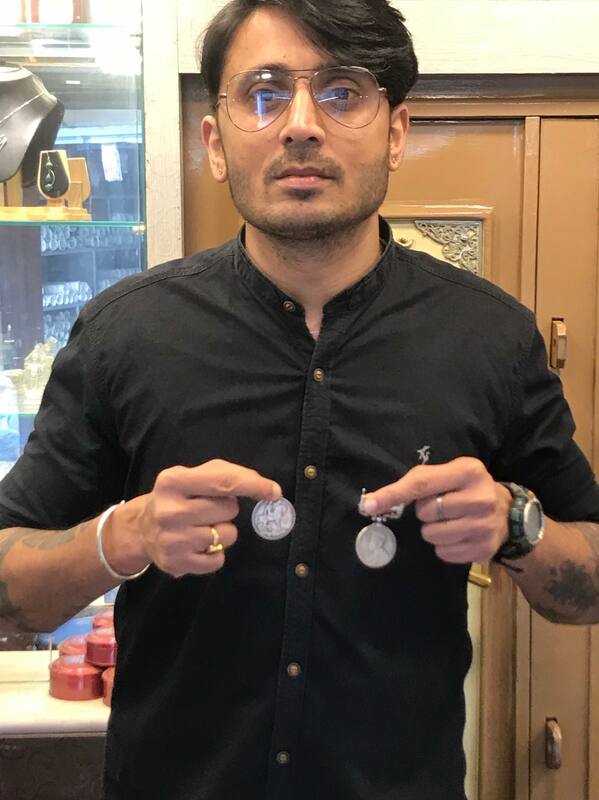 The BJP, which won the Lok Sabha seat over the last two terms by fielding political heavyweights like Jaswant Singh in 2009 and S.S. Alhuwalia in 2014, has opted for a 33-year-old Gorkha entrepreneur from Manipur, Raju Singh Bista, while Mamata Banerjee’s Trinamool Congress has nominated veteran GJM leader and Darjeeling MLA Amar Singh Rai. 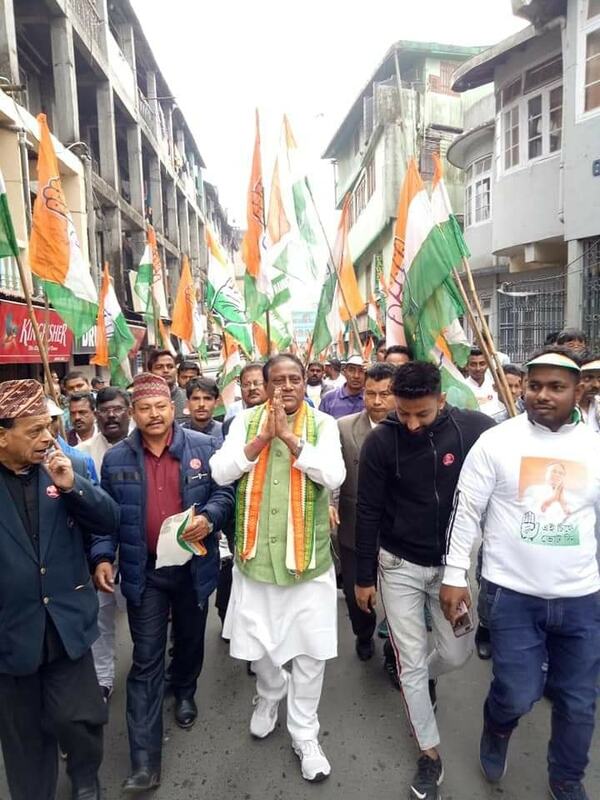 Apart from three hill Assembly segments – Darjeeling, Kurseong and Kalimpong – the constituency, mostly dominated by Gorkhas and other hill tribes, also includes four Assembly segments in the foothills and plains – Matigara-Naxalbari, Siliguri, Phansidewa and Chopra. Claiming that restoration of Gorkha pride and reinstating democratic rights by ending the oppression “let loose” by the state government are the main issues in Darjeeling in 2019, GNLF spokesperson Neeraj Zimba said their alliance with BJP will ensure Bista’s triumph with an even bigger margin than the last time as the people in the hills were “eager to vote” against Binay Tamang and his allies who “betrayed the community and derailed the popular Gorkhaland movement by joining hands with the Trinamool”. “Actually there was a phenomenal response by the people of Darjeeling. The enthusiasm towards the alliance between the BJP and the GJM-GNLF shows that we believe we will win with an even bigger margin than last time. The BJP’s decision to field a Gorkha candidate will also go in our favour. So it will very much be a clean sweep,” Zimba told IANS. “The BJP is not aware of the ground reality as they do not come here. People want peace, prosperity in the hills. They have suffered a lot and have realised that Darjeeling has gone 20 years backwards due to the constant agitations and strikes. They do not want the same things to be repeated,” Rai told IANS. 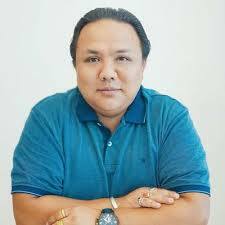 Referring to the BJP nominee Bista as “an outsider who does not have any idea about the region”, Rai contended that choosing such a candidate shows the BJP’s despising attitude towards the Gorkhas. 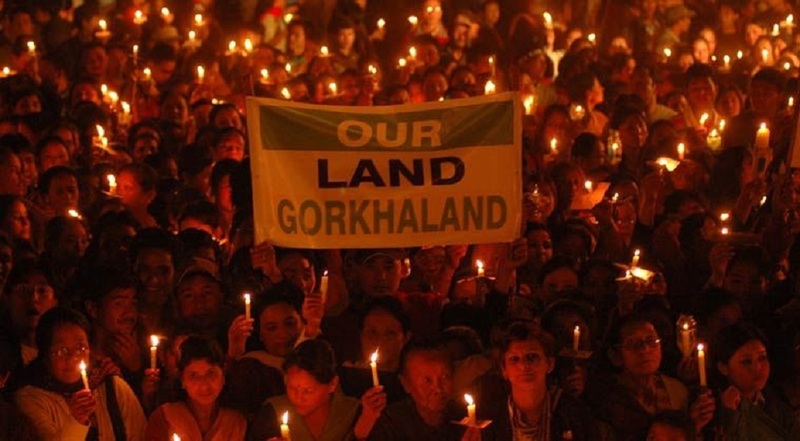 Be the first to comment on "It’s ‘Gorkha pride’ vs ‘Development’ in Darjeeling"